The attack prompted an exchange of fire between Voronenkov's bodyguard and the gunman, both of whom were injured. KIEV: A former Russian MP-turned-Kremlin-critic was shot dead in broad daylight in the Ukrainian capital on Thursday, with Kiev pointing the finger at Moscow over "state terrorism". But the Kremlin expressed shock over the murder, dismissing Kiev's allegations as "absurd". Kiev police chief Andriy Kryshchenko said Denis Voronenkov, 45, was hit by "three or four gunshot wounds to the stomach and the neck" in an incident which took place around 11:30 am. The gunman, who was carrying a Ukrainian passport, later died of his injuries, a spokeswoman for the prosecutor general told AFP. An AFP photographer saw Voronenkov's body laying in a pool of blood on the pavement as police investigators searched the scene for clues. Voronenkov used to be a federal lawmaker with the Communist party but after his term moved to Ukraine with his wife, a well-known opera singer, under a cloud of fraud allegations. After leaving Russia, he became openly critical of Moscow's annexation of Crimea in 2014, testifying in a case against Ukraine's former pro-Russia president Viktor Yanukovych, who was ousted earlier that year. He received Ukrainian citizenship in December and last month told Ukrainian media he had received repeated threats from the Russian security services, saying the situation in his homeland was "like Nazi Germany." Officials said his bodyguard was a member of Ukraine's special services. Investigators were weighing whether the former MP was the target of a professional hit given "his activities and how the crime was carried out," the police chief said. 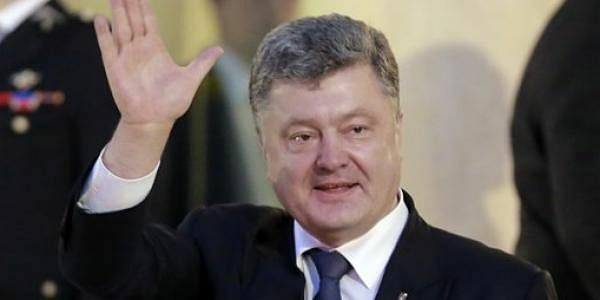 Ukrainian President Petro Poroshenko blamed Russia for what he said was a "cunning murder", saying Voronenkov's killing was an "act of state terrorism", his spokesman Svyatoslav Tsegolko wrote on Facebook. But Kremlin spokesman Dmitry Peskov swiftly dismissed Kiev's accusations as "absurd" in comments to Russian news agencies. Foreign ministry spokeswoman Maria Zakharova told reporters Moscow was "shocked" by Voronenkov's murder, saying it looked like a "contract killing", Russian news agencies reported. "We were shocked by what happened but even more shocked by the Ukrainian president's statement," she said, warning that claims of Russian involvement would hamper the possibility of having an "impartial and objective investigation" into the murder. Writing on Facebook, Ilya Ponomaryov, a former Russian opposition lawmaker who has been in exile since 2014, said Voronenkov had been killed on his way to meet him. Last month, Russia's powerful Investigative Committee said Voronenkov was on a wanted list over his alleged role in fraud dating back to 2010 involving a building in Moscow. The murder comes as Moscow and Kiev are locked in a bitter feud over Russia's annexation of Crimea and its alleged support of a pro-Russian insurgency in eastern Ukraine.